This title focuses on the "Risorgimento", the movement that led to the unification of Italy as a single kingdom. 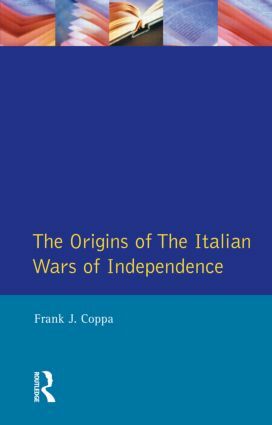 The Italian Wars of Independence were a sequence of three separate conflicts, taking place in 1848-49, 1859 and 1866. This volume examines the role of the major powers outside Italy in these conflicts, particularly France, Austria, Great Britain and Prussia, and in Italy the Italian states, the Catholic Church and the revolutionaries. It also examines the role of: Cavour's Piedmont, Mazzini's Young Italy and the Party of Action, Garibaldi's Red Shirts and Daniele Manin's National Society. It is based on original research, particularly in the Vatican archives and it should to be an invaluable text for all students of Italian and European History from 6th form to undergraduate level.